The 2015 Honda CR-V (automobiles.honda.com/cr-v/), Motor Trend Sport/Utility of the Year and the top-selling SUV in America for the past decade1, has received a 2015 TOP SAFETY PICK+ rating from the Insurance Institute for Highway Safety (IIHS) when equipped with optional front crash prevention. This distinction includes a top rating of GOOD in five IIHS crash test modes including a GOOD score in the Insurance Institute's stringent small overlap frontal crash test. The 2015TOP SAFETY PICK+ designation is awarded to vehicles that also have an available front crash prevention system that earns a superior or advanced rating from the Institute. The 2015 CR-V offers an available frontal crash prevention system that earns a top rating of superior. 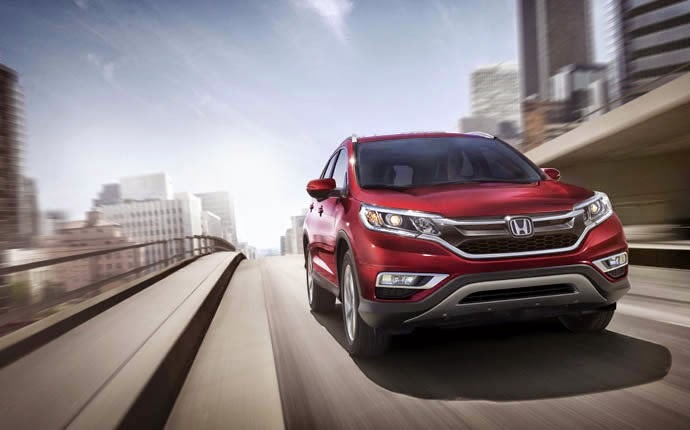 A new Touring trim for the 2015 CR-V is the first Honda to apply the new Honda Sensing™ suite of safety and driver assistive technologies that can help improve drivers' situational awareness. This includes the first application of two advanced driver-assistive technologies – Collision Mitigation Braking System™ (CMBS™) with Forward Collision Warning (FCW) and Lane Keeping Assist System (LKAS) – to a Honda vehicle, and the first application of Adaptive Cruise Control (ACC), Lane Departure Warning (LDW) and LaneWatch™ to CR-V. These systems benefit from the adoption of new sensor fusion technology that integrates the capabilities of a windshield-mounted monocular camera and front grille-mounted millimeter wave radar system to provide enhanced sensing with the ability to identify and anticipate multiple collision scenarios, including ones involving a pedestrian. When the system anticipates a collision, it can initiate warnings and, in some cases, initiate emergency braking. "Honda's vision to one day eliminate traffic-related collisions, injuries and fatalities is at the heart of our commitment to safety," said Art St. Cyr, vice president of auto operations at American Honda. "Our continued innovation in active safety and assistive technologies with the application of Honda Sensingbrings Honda, our customers and everyone else on the road one step closer to this goal." The 2015 CR-V with Honda Sensing™ is on the leading-edge of this initiative. The 2015 CR-V also applies Honda's next-generation Advanced Compatibility Engineering™ (ACE™) body structure, which improves crashworthiness through a broader array of frontal small overlap and oblique crash scenarios. Overall, the CR-V body has received more than 60 engineering changes to improve stiffness and collision performance, including a strengthened door frames and side frames under the front fenders. This enhanced side frame design ties into the main frame rail, producing an additional load path for energy absorption, and aims to improve safety for both the occupants of the Honda vehicle and the occupants of the other vehicles involved in a collision. Standard safety equipment on all Honda models include Vehicle Stability Assist™ (VSA®) electronic stability control system, Anti-lock Braking System (ABS) with Brake Assist, frontal airbags, side airbags, side-curtain airbags and a front seat design that can help reduce the severity of neck injury in the event of a rear collision. Honda is also leading the industry in the deployment of rearview cameras, which are standard equipment on all model year 2015 Honda vehicles (having been offered on more than 95 percent of model year 2014 vehicles). The 2015 CR-V is manufactured exclusively for the North American market at Honda plants in the U.S., Canada and Mexico using domestic and globally sourced parts. Honda has a long history of leadership in the development and application of advanced technologies designed to enhance the safety of all road users, including automobile occupants, motorcycle riders and pedestrians. The company operates two of the world's most sophisticated crash test facilities, in Ohio and Japan, and is responsible for numerous pioneering efforts in the areas of crashworthiness, airbag technology, collision compatibility and pedestrian safety. Vote For Your Favorite Honda Toy Tunes While You Still Can! We’re less than a week away from Christmas, which means we here at Pacific Honda are already looking toward the end of what has been an extremely fun Happy Honda Days sales event this year. Plenty of sales are still going on, so let’s not mourn the end of the holiday season just yet, but there’s no question that December has gone by very quickly and we’re not at all anxious to see it end. For over a decade now, we’ve all looked at hybrid vehicles as the greenest automobiles that engineers have had to offer. EVs, of course, have changed that over the course of the last couple years, but Honda is close to releasing a vehicle with the cleanest, greenest fuel source of them all: hydrogen. As part of its ongoing effort to elevate the connected car experience, Honda has unveiled Honda Developer Studio, an online portal and open innovation workspace in Silicon Valley. The portal and garage will enable developers to work directly with Honda engineers to create apps that are road-ready more quickly. The announcement comes on the heels of Google's debut release of the Android Auto software development kit (SDK), which allows Android developers to easily extend their apps to the in-vehicle environment. Starting in December, Honda Developer Studio will enable app developers to test their Android Auto apps in a prototype vehicle environment and collaborate with Honda R&D teams. The goal is to help developers refine their ideas and accelerate the learning curve for newcomers to the automotive industry by encouraging them to consider "automotive grade" engineering principles, as well as driver safety and privacy – top Honda priorities – from the get go. "App developer participation in the automotive space has the potential to transform the in-car experience," said Nick Sugimoto, senior program director for Honda Silicon Valley Lab. "We want to foster app developer participation and enthusiasm, and help them dream-up new experiences that will give drivers access to the latest in digital innovation." 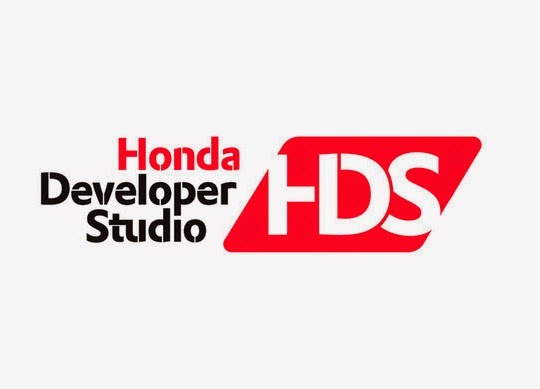 Honda Developer Studio is the product of Honda Silicon Valley Lab (HSVL), Honda's open innovation laboratory in the San Francisco Bay Area. HSVL was founded to help accelerate Honda's global information technology research and development efforts, and forge new strategic partnerships with technology companies. Based on its longstanding commitment to "build products close to the customer," Honda operates 17 major manufacturing facilities in North America producing a wide range of Honda and Acura automobiles, automobile engines and transmissions; Honda all-terrain vehicles; power equipment products, such as lawn mowers, mini-tillers and general purpose engines; as well as the HondaJet advanced light jet and GE Honda HF120 jet engines. American Honda Motor Co., Inc. today reported a new November Honda and Acura vehicle sales record of 121,814 units, an increase of 4.6 percent versus November 2013. 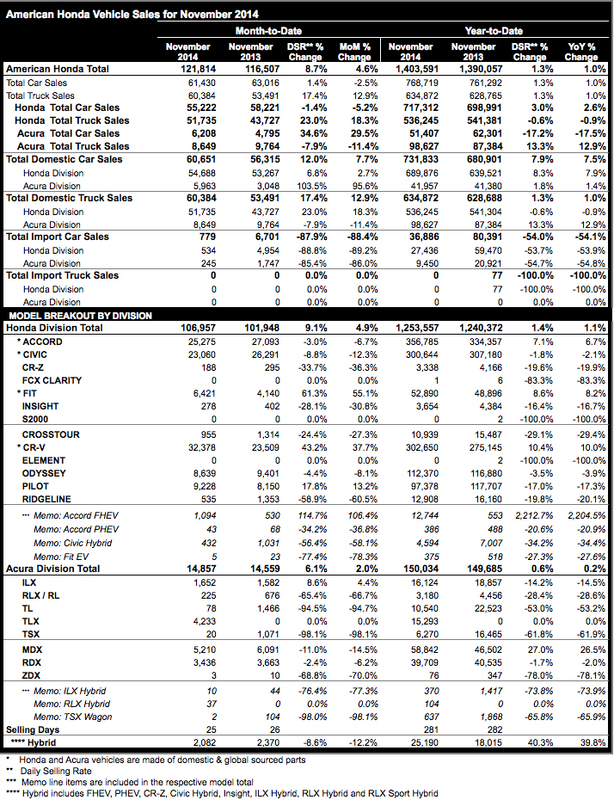 Overall AHM truck sales also set a November record, increasing 12.9 percent on sales of 60,384 vehicles. The Honda brand set a new November best, recording sales of 106,957 vehicles—an increase of 4.9 percent for the month. The Acura brand posted sales of 14,857 units in November, increasing 2.0 percent over the same period last year. 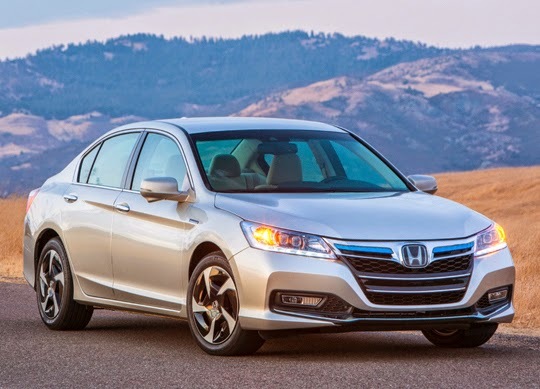 Three core vehicles in the Honda lineup contributed to a best-ever November for the brand. The newly redesigned CR-V led the Honda division's record month, posting its best November sales ever while Pilot showed fresh strength with a double-digit increase; the two vehicles boosted Honda Trucks to a new November record. 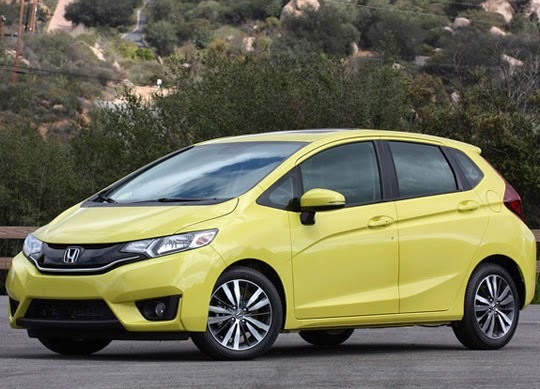 The Honda Fit also set a new November mark. CR-V smashed its previous November milestone, with 32,378 units sold last month for an increase of 37.7 percent versus 2013. The Pilot showed new strength in a robust truck market for November with sales of 9,228 vehicles for an increase of 13.2 percent. Together, CR-V and Pilot helped push Honda Trucks to a best-ever November, gaining 18.3 percent for the month on sales of 51,735 vehicles. Honda Fit sales shattered the popular subcompact's previous November best, recording a remarkable 55.1 percent rise on sales of 6,421 units. "While the market seems to be constantly changing, Honda products continue to march on with strong performances month after month," said Jeff Conrad, Honda division senior vice president and general manager. "Even with plummeting gas prices, compact models like the CR-V and Fit continue to resonate with buyers." Acura sedans pushed an overall brand increase in November, led by the new popular TLX and growing momentum from the ILX. Acura trucks also fared well, maintaining strong market performance as MDX continues to lead the Acura division overall. The Acura sedan lineup rose substantially in November, gaining 29.5 percent for the month on sales of 6,208 vehicles. TLX was Acura's second best-selling model again in November with over 4,200 units sold, even as tight supply of some models in the TLX lineup kept the new sedan from eclipsing its stellar October result. ILX gained 4.4 percent for the month on sales of 1,652 units. "The strength of Acura sedans is clearly on the rise since bringing the hot-selling TLX to market in late summer," said Mike Accavitti, Acura division senior vice president and general manager. "And with demand outstripping supply, we see even more upside potential with TLX and the rest of our sedan lineup in the coming months." 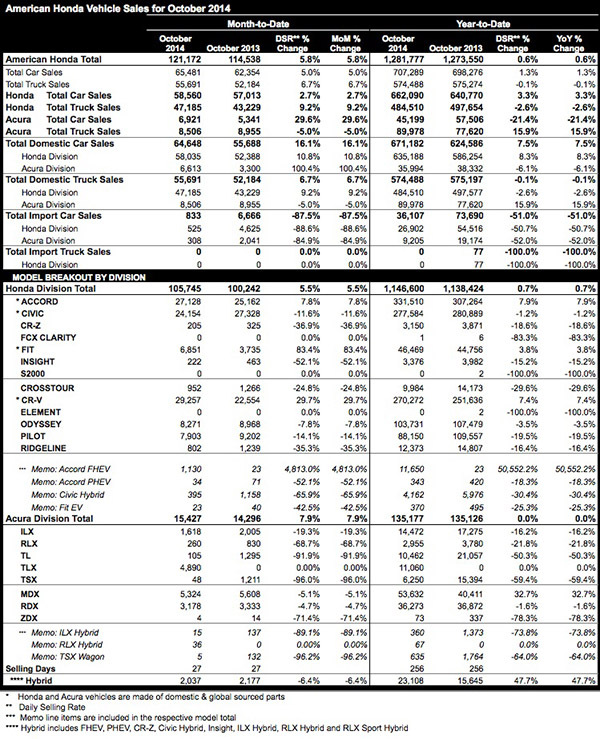 To be perfectly frank, 2014 has been an amazing year to work for a Honda dealership, as sales across the board continue to be some of the best that the country has ever seen, and November has been a perfect example of how well things have been going. Specifically, Honda brand set a sales record for the month of November, selling 106,957 vehicles to consumers nationwide. That’s a 4.9% increase over November of 2013 and certainly more than enough of a boost to make it the best November ever for Honda sales. According to “Car and Driver” magazine, there are approximately 150 new cars from which consumers can choose these days, which can certainly create an overwhelming experience for an uninformed person. Luckily, “Car and Driver” goes to great lengths every year to put out its eagerly-anticipated “10Best” list, which looks at vehicles under $80,000 that deliver the most value, boast the most strengths and offer the smoothest drives. For the 29th consecutive year, the Honda Accord was put on the list. 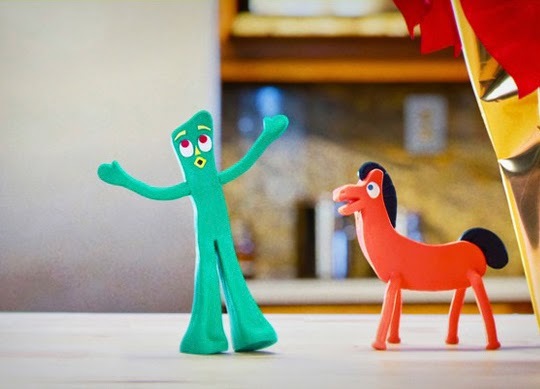 Building on the fun and interest in the Happy Honda Days campaign, Honda is launching three social videos featuring favorite nostalgic toys such as Gumby and Pokey and Skeletor and He-Man singing their renditions of familiar or newly created holiday tunes. Honda will donate a total of $100,000 benefitting three charities including the Children's Hospital of Orange County, the Little League® Urban Initiative and the Pediatric Brain Tumor Foundation. Each video has a charity associated with it, and the video that garners the most views through December 21 will win a grand prize of $50,000 for that charity, and the other two charities will each receive a $25,000 donation. At the end of each video, the toys urge viewers to share their video in hopes of winning the grand prize for the affiliated charity. The charities will also use their own social media channels to promote their respective videos in an effort to gain the most views. "Honda is committed to being a company that society wants to exist. And we are dedicated to giving back and bringing joy to people's lives," said Susie Rossick, senior manager at American Honda Motor Co., Inc. "There is no better holiday gift than helping the efforts of the Pediatric Brain Tumor Foundation, Little League Urban Initiative and Children's Hospital of Orange County and having some fun in social media while we're at it." Paid media amplification for "Throwback Toy Tunes" includes video pre-roll and paid social activation. User engagement is a key metric, and the approach is to align with 80s nostalgia, toys and toy manufactures content across multiple channels. 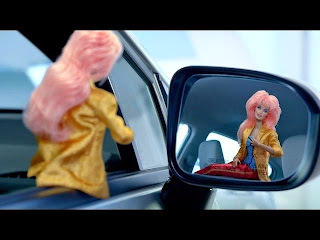 The integrated Happy Honda Days campaign launched with seven spots on TV in November paying homage to popular toys throughout various decades and included extensive digital, print, POP and radio placements. 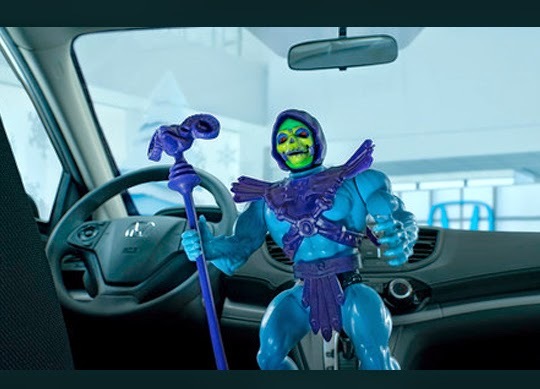 And on Cyber Monday, the campaign continued its irreverent tone with a #Skeletakeover when Skeletor took over the Honda Twitter channel to broadcast his evil messages. Honda offers a full line of reliable, fuel-efficient and fun-to-drive automobiles for American car buyers through approximately 1,000 independent U.S. Honda dealers. The Honda lineup includes the Accord, Crosstour, Civic, Fit, CR-Z and Insight, along with the Pilot and CR-V sport-utility vehicles and the Odyssey minivan. 1Longevity based on IHS Automotive, Polk U.S. vehicles in operation registration statistics 1988-2012 for Honda and non-luxury competing brands. 2016 Honda HR-V Los Angeles Auto Show Debut Set to Soundtrack From SoCal Musicians "Two Friends" with "Breach the Summit"
Honda debuted the all-new 2016 Honda HR-V crossover SUV at the Los Angeles Auto Show. To celebrate all of the Honda-goodness that the HR-V embodies, from its dynamic and refined exterior styling and class leading fuel economy to its unmatched interior space and functionality and of course, its fun to drive spirit, the debut was paired with an energetic soundtrack from some of Southern California's most on-the-rise dance/indie pop music artists. "Our Names is Lights," by Two Friends with Breach the Summit, hailing from Los Angeles and Irvine, California, respectively, set the tone for today's highly-anticipated all-new Honda HR-V reveal. The track features the unique blend of Two Friends' emotional progressive house sound with Breach the Summit's indie pop vocals. To hear "Our Names in Lights," visit http://www.youtube.com/watch?v=iWcXDfKLguk or https://itunes.apple.com/us/album/our-names-in-lights-feat./id915023597. More information on these rising stars in the SoCal music scene can be found at: http://www.twofriendsmusic.com/ and http://www.breachthesummit.com/. 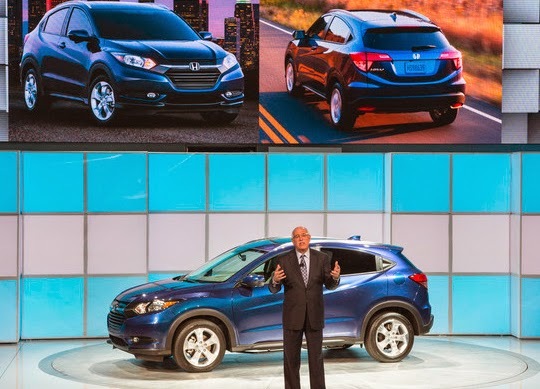 More information on the all-new 2016 Honda HR-V can be found at: http://automobiles.honda.com/hr-v/. Now, their unique blend of emotional progressive house fused with electro and acoustic elements continues to offer a refreshing and memorable experience for music lovers. Their most recent original release, "Our Names In Lights," is the first in a string of many new songs coming out this fall. They are, Two Friends. Irvine, California-based indie pop band Breach The Summit features Olen Kittelsen (vocals/drums), Sam Beresford (keyboards/piano), Jacob Berger (guitar/backing vocals), and Kody Buxton (bass/backing vocals). 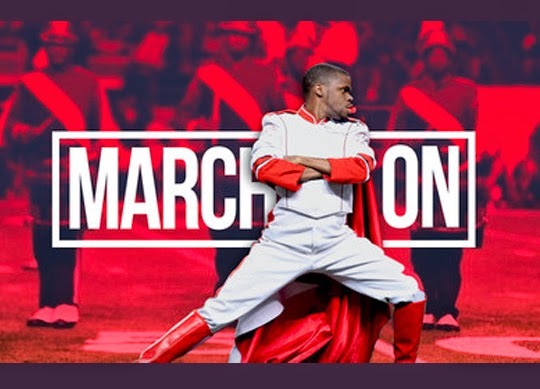 Honda has a deep history in music programming and music marketing through the development of engaging programs and sponsorships aimed at reaching music fans through their love of music. The Honda Civic Tour was created in 2001, and since its inception, 3.5 million fans have attended Civic Tour concert events and the program has become one of the nation's most compelling, successful music concert tour franchises. Concert goers have had the chance to experience their favorite bands up-close-and personal, including live and interactive performances by Maroon 5, Linkin Park, blink-182, The Black Eyed Peas, Paramore, Incubus, Fall Out Boy and many more. Each year, the Honda Civic Tour's headlining artist customizes a Civic vehicle for one lucky tour fan to win. In 2009, Honda began partnering with the biggest and brightest music festivals across the U.S., including Sasquatch, Lollapalooza, Austin City Limits Music Festival and The Governors Ball in New York. The automaker's festival activations have included a Honda-sponsored stage with performances by some of the festivals' best artists, opportunities to win VIP tickets and Honda vehicles, interactive onsite vehicle displays and more. Honda's music festival partnerships have become part of the Honda Stage music program which began with The Governors Ball in New York June 6-8, and continued through the summer at Music Midtown in Atlanta September 19-20 and triumphantly returned to Austin City Limits Music Festival the first two weekends in October. In 2014, Honda launched Honda Stage, a unique 360-degree, multi-platform music program designed to meet music fans where they are already searching for and consuming music. This new music platform brings together an unprecedented group of entertainment and technology leaders to produce and distribute some of the best original, high-quality, music content available under the new Honda Stage name, through dozens of live events and exclusive online content. Honda has the highest brand fuel economy1 and the longest-lasting cars2 of any mainstream automotive brand in America, and more models achieving an IIHS TOP SAFETY PICK+ rating than any other automotive nameplate. 1 Based on Model Year 2012 fuel economy data from the U.S. Environmental Protection Agency and its report: "Light-Duty Automotive Technology, Carbon Dioxide Emissions, and Fuel Economy Trends: 1975 Through 2013." 2 Longevity based on IHS Automotive, Polk U.S. vehicles in operation registration statistics 1988-2012 for Honda and non-luxury competing brands. Good morning everyone and thanks for joining us. We have a lot of great news to share with you today. I know you're all here to witness the arrival of an all-new Honda crossover that will strengthen our light truck offerings, but before we get to that, we have some other important news we'd like to share. It's been a banner year for the industry, and an exceptionally strong year for Honda. The video you just saw highlights our strength in light trucks with the 2015 CR-V picking up Motor Trend's Sport Utility of the Year award just last month. We've also picked up some valuable hardware from some influential industry players like KBB, ALG and Edmunds. Today, Automobile Magazine named the all-new Honda Fit to its list of ALL STARS. And, as we speak, Car and Driver magazine is announcing its list of the 10 Best cars in America, which for a record-breaking 29th time includes the Honda Accord. It's all exciting news for the Honda brand. And, we're in contention for even more accolades before the year is out, with Fit making the list for North American Car of the Year. We are constantly looking forward in an effort to continue this type of momentum, strengthen our lineup and create new value for the next generation of customers. And speaking of next generation, yesterday Google released its first Android Auto Developer Kit. Big news! But what you might have missed is that Honda simultaneously launched a developer support program: Honda Developer Studio. This is both an online portal and a physical garage space in Silicon Valley, where developers work seamlessly with Honda R&D staff to integrate their apps with our vehicles, and be road-ready much more quickly. You'll see Android Auto coming to several Honda products next year with a stream of new and unique apps to follow. Key members of the Honda Silicon Valley Lab are here and available to share more details with you after the press conference. Now, continuing on our theme, you also may have seen some news about our Next Generation Fuel Cell Vehicle Concept, which was unveiled in Japan just a few days ago. And we will debut this vehicle in January at the North American International Auto Show in Detroit. This new concept builds upon Honda's real-world, on-the-road customer experience, gained through a decade of leadership in fuel cell development. expand and accelerate a network of public hydrogen refueling stations in California. This commitment adds considerable momentum to the future of fuel cell vehicles. And as we move closer to our own launch in 2016, we look forward to sharing more details on the next-generation Honda fuel cell car. So, we have a lot of news to share, but today, the star of the show is the debut of an all-new compact crossover that further advances our light truck lineup. And here to tell you about it, is the senior vice president and general manager of the Honda Division, Jeff Conrad. Thank you, John, and hello everyone! As you can see, we remain steadfast and focused on the future in many, many areas. But we also have an incredible lineup right now, with a string of back-to-back strong sales years. Looking at 2014, we're on track for an all-time sales record. And, as always, we've done that without deviating from our unique focus on retail sales to individual buyers, sold one customer and one car at a time. Leading the way is the Honda Accord, on track to become the best-selling car in America with individual car buyers for the second straight year. But it's not only Accord. With great packaging, fuel economy, fun-to-drive performance and safety, four of our core models are once again on track to be the top retail-selling models in their respective segments. With Civic and CR-V also on track to be the outright best-selling models in their classes, beating all comers, even those relying on high-volume fleet sales. And CR-V will extend its lead as the outright best-selling SUV in America for not just the last year or two, but the past decade. Ten years, folks! And together, the Accord, Civic and CR-V are, again, on their way to accounting for total retail sales of over one million units for a second straight year. If you set aside full-size pickups, this is a feat completely unprecedented in our industry. And we also are seeing strong momentum from our all-new third-generation Fit, which has turned in some impressive performances in the past two months, up 66 percent in September and 83 percent in October. One of Fit's main strengths perhaps its greatest competitive advantage, is its incredibly spacious and versatile interior, made possible by its unique center-mounted fuel tank layout and versatile second row "Magic Seat." Now, we're leveraging that same expertise in the U.S. production version of the all-new HR-V crossover we're unveiling today. Like the Fit, the new HR-V will be the true benchmark vehicle in a new and growing segment and a strong volume performer in our lineup. But HR-V isn't just a great new product. Along with the just-launched CR-V, the HR-V heralds our step-by-step effort to grow the Honda light truck lineup. It started with the freshened CR-V, which has undergone a major makeover for the 2015 model year, a mid-cycle refresh so significant that we earned the Motor Trend Sport/Utility of the Year title as John mentioned earlier. Coming next year, will be the all-new Honda Pilot SUV that will redefine what is possible with an 8-passenger mid-size SUV. Further ahead, a completely reengineered Ridgeline pickup is in the works. And beyond that is the inevitable full design change for the Odyssey minivan. This strong product cadence plays a major role in our future competitiveness and growth. It also creates a clear hierarchy for our SUV lineup. After all, we already have an outstanding hierarchy with our core passenger car lineup, from Fit to Civic to Accord. Today, we are excited to introduce an all-new crossover that will complete an incredible and unbeatable lineup of SUVs. The gateway to CR-V and to Pilot will now begin with a versatile and dynamic all-new Honda vehicle. 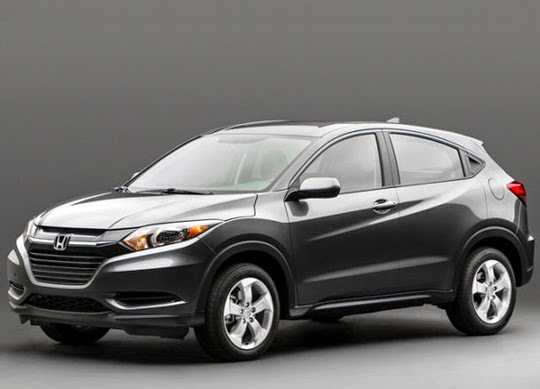 Ladies and gentlemen, please welcome the 2016 Honda HR-V! 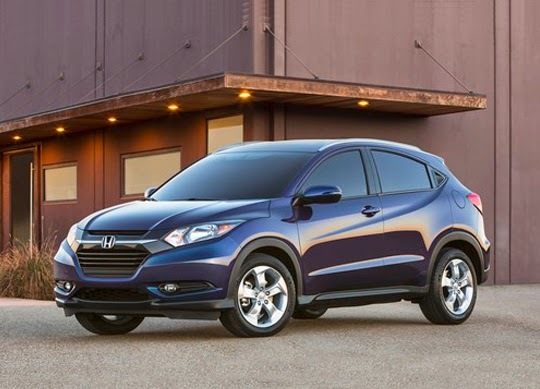 Here it is, the sleek, fun, fuel-efficient and extraordinarily flexible 2016 Honda HR-V crossover! It's everything a small crossover should be with the dynamic sculpting and vibrant character lines of a sporty coupe, anchored in the confident, capable stance of an SUV. This efficient, fun-to-drive package is perfect for active lifestyle customers who need a capable vehicle that can meet the demands of daily driving, while providing the flexibility for weekend fun in the city, the country, the mountains or wherever their imagination leads them. HR-V's dynamic styling wraps around one of the largest and most versatile cabins in its class, all courtesy of its space-efficient platform and reconfigurable Honda Magic seats. Need to haul a bike or maybe a dog crate? HR-V's got you covered with more than 58 cubic feet of cargo space in Utility Mode. Two buddies and a pair of longboards? No problem in Long-Mode. Fichus tree for the living room? I'd skip it. But, if you're determined, HR-V has Tall-Mode to get that job done. The HR-V is a virtual Swiss Army Knife of capability, efficiency and versatility. Speaking of efficiency, the HR-V crossover offers the kind of fun-to-drive spirit you can only get with a Honda, along with a 1.8-liter, 138-horsepower VTEC engine providing lively, direct and immediate response, whether mated to a sporty Honda CVT with "G-design shift" technology, or a slick-shifting 6-speed manual. An available Real Time all-wheel-drive system also provides customers with an extra measure of all-weather traction and control for off road adventure. The HR-V crossover also is designed to earn top collision safety ratings. And offers standard safety and driver-assistive features unmatched by any other vehicle in this rapidly growing class, including the availability of the popular Honda LaneWatch technology. HR-V will not be out done when it comes to comfort and convenience, with a host of standard features not found anywhere else in this class. But the fun doesn't end there. For customers who want even more, our Display Audio 7-inch touchscreen allows you to swipe, tap and pinch your way to the features and settings you desire, while Smart Entry with: Push Button Start, XM radio, Honda HD Digital Traffic and radio, Heated front seats, embedded GPS- Navigation, Paddle shifters and leather trim, all available features. 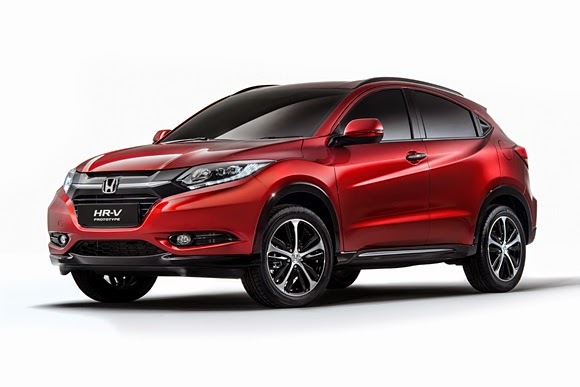 So, the all new HR-V crossover will deliver strong value for money. It's the complete package, benefitting from the best Honda has to offer: our packaging expertise, our innovative powertrains, our leading safety technology and, above all, Honda quality. 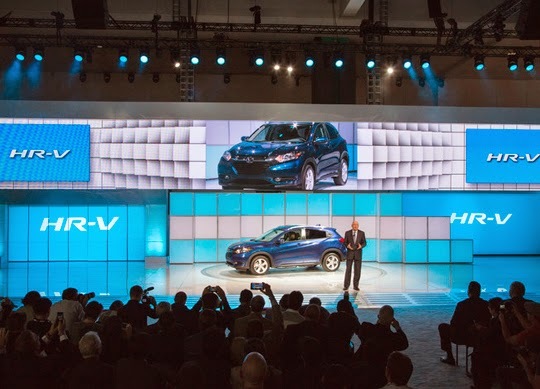 Finally, like every core model in the Honda lineup, HR-V will be built exclusively in North America. So, now, 100 percent of Fit, Civic, Accord, HR-V, CR-V, Pilot and Odyssey come from one of our 8 plants in North America. This, without a doubt, strengthens our ability to meet customer demand with great speed and efficiency. The HR-V crossover is an incredibly compelling, sporty and value-packed new member of the Honda family. We're confident that our Honda customers are going to love it. It's unlike anything else on the market today, and more than just the new gateway to our SUV lineup, we think it will introduce a new generation of customers to the Honda brand. Stay tuned for more information and pricing on the all-new HR-V as we get closer to its on sale date this spring. It's been a big news day for Honda, and we thank you for being part of it. Now, I'd like to invite you all up on to the stage to get a closer look at the new Honda HR-V crossover. The 2014 Honda Odyssey is the only minivan to earn the highest possible ratings of GOOD in the Insurance Institute for Highway Safety's (IIHS) stringent small overlap frontal crash test and is a 2014 TOP SAFETY PICK+ designation when equipped with optional front crash prevention. The Honda Odyssey became the first minivan to earn the TOP SAFETY PICK+ rating in August of 2013. The IIHS created the small overlap frontal crash test to replicate what happens when the front corner of a car collides with another vehicle or an object such as a tree or utility pole. "Honda's commitment to the safety of its customers is clearly demonstrated by the segment-leading safety ratings of the Odyssey," said Art St. Cyr, vice president of auto operations at American Honda Motor Co., Inc. "As the only minivan to offer the highest possible IIHS-rated protection in small overlap crashes, car buyers can look to the Honda Odyssey to securely and safely transport what's most important – their families." 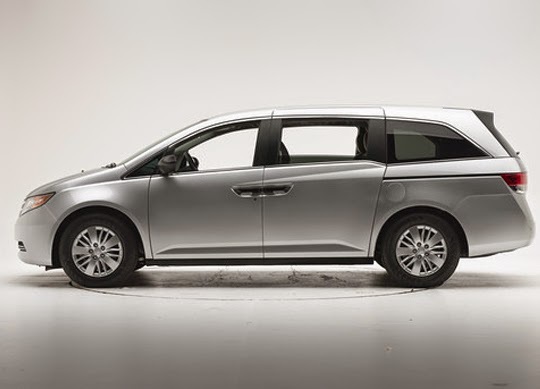 Already the benchmark minivan in terms of fuel efficiency and innovative features, occupant safety for the 2014 Honda Odyssey is further enhanced through the next-generation Advanced Compatibility Engineering™ (ACE™) body structure. The second-generation of the ACE™ body structure has also been applied to the 2014 Honda Accord Coupe and Sedan and the 2014 Civic Sedan models that previously achieved the TOP SAFETY PICK+ rating. The next-generation ACE™ body structure improves frontal crash energy management through a wider range of offset and oblique collision modes. In addition, other body reinforcements work in tandem with the strengthened body structure to better maintain the occupant compartment volume during frontal collisions by providing additional crash energy pathways to help mitigate the forces transmitted to the passenger compartment. Standard safety equipment on all Honda and Acura models include Vehicle Stability Assist™ (VSA®) with traction control; an Anti-lock Braking System (ABS); side curtain airbags (some vehicles equipped with a rollover sensor as well); dual-stage, multiple-threshold front airbags; and front side airbags. While Honda has made structural improvements to the 2014 Odyssey, Honda also has applied a new type of side curtain airbag that includes a front chamber design providing additional protection in situations where occupants move in a more angled outboard trajectory, such as those that might occur in oblique or offset crashes. The company also is offering advanced driver-assistive technologies such as LaneWatch™, Forward Collision Warning and Lane Departure Warning as available technologies to a broad segment of its product lineup. Also, Honda has applied rearview cameras as standard equipment to 100-percent of its vehicle lineup for the 2015 model year. 1Based on 2014 Insurance Institute for Highway Safety (IIHS) TOP SAFETY PICK and TOP SAFETY PICK+ ratings as of 11/20/14. There are about a million different places on the internet where a person can find a review of a Honda vehicle, but when it comes to the credibility of those reviewers, few hold a candle to Edmunds, easily among the most respected car review sites on the web. Nov 19, 2014 - TORRANCE, Calif.
Seeking to expand California's public hydrogen refueling station network as a means to support the wider introduction of fuel-cell vehicles, Honda will provide $13.8 million in financial assistance to FirstElement Fuel to build additional hydrogen refueling stations around the state. Additional state grants, combined with the Honda financing, could enable FirstElement to add at least 12 stations to its California hydrogen network. "FirstElement Fuel is providing a vital piece of what is needed for a successful launch of fuel-cell vehicles," said Steven Center, vice president of Honda's Environmental Business Development Office. "Through this collaboration, FirstElement will enable our customers to experience hydrogen refueling that is as reliable, convenient and consumer-friendly as the vehicles are." FirstElement received grants totaling nearly $27 million from the California Energy Commission earlier this year to build a network of 19 stations around the state. The state of California has a plan to invest $200 million into hydrogen station development over the next several years. This financial support from Honda, along with anticipated future grants from the State of California, will allow FirstElement to expand its network of stations by more than 50 percent, to at least 31 stations. "This is an extremely positive step forward for the advancement of fuel-cell vehicles in the State of California," said Joel Ewanick, CEO of FirstElement Fuel. "We're so grateful for the confidence that Honda has shown in our team, and for Honda's leadership in the development and deployment of fuel-cell vehicles." FirstElement Fuel is on its way to creating the world's first true retail hydrogen refueling network by developing and operating stations in California's metro areas, as well as in connector and destination locations. The company's goal is for drivers of fuel-cell vehicles to be able to travel seamlessly throughout the state, just as they are able a conventional gasoline vehicle today. As one of the leaders in the development of fuel cells, Honda has advocated for a robust and comprehensive network of hydrogen refueling stations to serve its customers. Honda has led the industry for nearly two decades in the development and deployment of fuel-cell technology through extensive real world testing, including the first government fleet deployment and first retail customer lease programs in the United States. Honda has also made significant technological advancements in fuel cell operation in both hot and sub-freezing temperatures and in meeting safety regulations, since the introduction of its first generation fuel-cell vehicle, the FCX, in 2002. Honda launched its more recent fuel-cell vehicle, the FCX Clarity, in July 2008 as a real technological breakthrough in the areas of design, sedan packaging, assembly line manufacturing, and fuel-cell stack size and efficiency, winning the 2009 "World Green Car of the Year" award. 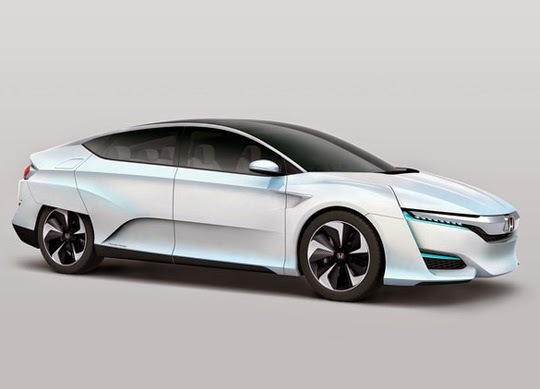 On November 17, 2014, the Honda FCV Concept was unveiled in Japan, pointing the way to an all-new Honda fuel-cell vehicles slated for launch first in Japan by March 2016 followed by launches in the U.S. and Europe. Honda's next-generation fuel-cell vehicle will feature a fuel-cell powertrain packaged completely in the engine room of the vehicle, allowing for efficiencies in cabin space as well as flexibility in the potential application of fuel-cell technology to multiple vehicle types in the future. 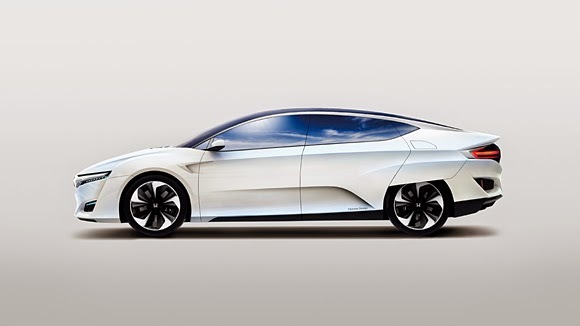 The next-generation Honda FCV is anticipated to have a driving range of more than 300 miles. Based on its vision of "Blue Skies for our Children," Honda is working to advance technologies that address society's environmental and energy concerns through a diverse lineup of products and technologies, including more fuel-efficient gasoline engines, natural gas, hybrids, plug-in hybrids, battery electric vehicles (BEVs) and fuel- cell vehicles (FCVs). Today, Honda is targeting a 30-percent reduction in CO2 emissions from its U.S. automobile product lineup by 2020, compared to 2000 levels. In pursuit of its vision for a zero-carbon future, the company is advancing electromotive technologies in many forms, and is slated to introduce an advanced fuel-cell vehicle in 2016. In keeping with its commitment to produce vehicles with the lowest CO2 emissions at plants with the smallest environmental footprint, the company is broadly addressing emissions, energy, water use and waste in all phases of its products life cycles. In the manufacturing realm, this includes a 95 percent reduction in waste sent to landfills in North America. Honda is working to extend its "green factory" and "green purchasing" initiatives to its more than 650 parts suppliers in North America and is also pursuing more environmentally responsible business practices among its U.S. dealers. Honda is also demonstrating its vision for zero-carbon mobility and living with the creation of the Honda Smart Home US, in Davis, California, which was opened in early 2014 and is capable of producing more energy on-site from renewable sources than it consumes annually, including enough energy to power a Honda Fit EV for daily commuting. 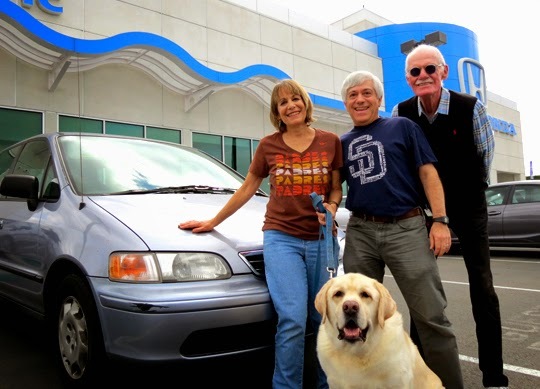 "Oren and Amy Patashnik with "Gabe" in their 1998 Honda Odyssey purchased at Pacific Honda from their original salesman JP Bo who has been their salesman since 1985. This is the anniversary of them attaining 300,000 miles on their Odyssey. All their service has been done here at the Pacific Honda Service department! Congratulations and many more miles ahead." If you’ve been out shopping anywhere over the course of the last couple of weeks, you know that the holidays have already taken over the entire country, with holiday tunes playing on radios everywehre and red-and-green decorations spilling forth from every possible corner of every possible retail store. We may only be halfway through November, but there’s no denying the fact that the holidays are here. Stretch Armstrong, Gumby, Jem and The Holograms, Little People, Magic 8-Ball, Skeletor, Strawberry Shortcake™ and G.I. Joe will star in Honda's annual Happy Honda Days advertising campaign. The integrated campaign, "A Gift to Remember," launches with six spots on TV today paying homage to popular toys throughout various decades and includes extensive digital, print, POP and radio placements. "With consumers inundated with holiday ads during the holiday season, our goal is to break through the clutter by helping people relive favorite childhood memories of a toy they loved during the holidays and associating that with a great deal on a new Honda," said Susie Rossick, senior manager at American Honda Motor Co., Inc. "The Happy Honda Days Sales Event is a terrific opportunity for Honda to cap off a record-setting year, with the Accord, Civic, CR-V and Odyssey also on pace to lead their respective segments in retail sales." The magic of these beloved toys has been brought to life with stop-motion animation rather than computer-generated imagery to authentically capture how these toys came to life through play. The original toys were tracked down and used to develop the spots, along with recognizable voice-over talent. Network TV placements are scheduled on popular programs such as "Survivor," "The Voice," "The Mindy Project" and "Dancing with the Stars," as well as on national cable networks such as AMC, Bravo, Comedy Central, Discovery, HGTV and TBS. Local Spot TV in 210 DMAs will drive local incentives to local in-market shoppers every week during Happy Honda Days, with high-impact weight during the first two weeks and last two weeks of the event. As the consumer purchase habits continue to shift, Honda has evolved its media mix for stronger in-market support targeting handraisers. Honda has increased its digital support by 80% compared to last year's event, with the substantial increase going to Mobile, Online Video, Audience Targeting heavy-up and Paid Social media. This increase in digital support includes banner ads on high-traffic third-party auto sites such as Cars.com, KBB.com and Edmunds.com as well as units on Facebook, Twitter and YouTube. GIFs and Vines will also support paid social posts. Print ads will run in "People" and "Sports Illustrated" and will include local newspaper support in top markets. Four weeks of Network radio spots will also air during the event. G.I. JOE, STRETCH ARMSTRONG and JEM & THE HOLOGRAMS, and all related characters are trademarks of Hasbro. © 2014 Hasbro. All Rights Reserved. 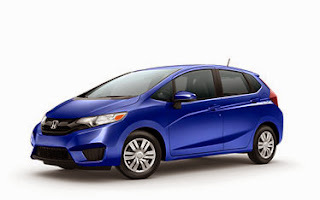 While the 2015 Honda Fit might not be the top-selling vehicle at most American Honda dealers, there’s no denying the fact that it’s a really hot up-and-comer, especially among younger, urban drivers looking for a slick vehicle that not only is affordable but fun and stylish and technologically-advanced, as well. Fit wins SEMA Award as "Hottest Sport Compact"
HPD displays extensive line of available racing "crate motors"
The all-new 2015 Honda Fit (automobiles.honda.com/fit/) arrived at the 2014 SEMA Show in strength, with nine personalized versions on display in the Honda booth, quickly winning the coveted SEMA Award as the "Hottest Sport Compact" at a ceremony formally opening the show. 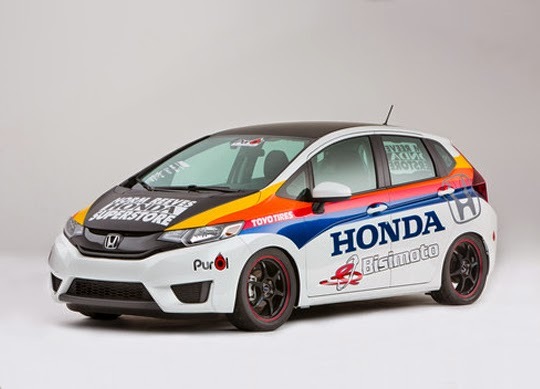 The Honda booth at the SEMA Show is highlighted by the Fit customized by Tjin Edition, voted as the Fan Favorite in the 2015 Fit Performance Project, which enabled fans to track the build processes of several teams through an interactive Honda Tumblr site. "The 2015 Fit is a worthy addition to Honda's strong heritage of developing tuned sport compact vehicles, and it wears the mantle of "Hottest Sport Compact" well," said Jeff Conrad, SVP & General Manager of Honda Division, American Honda Motor Co, Inc. "Fun to drive, versatile and a great value, the new Fit does so many things right, and it's great to see it becoming a popular platform for owner personalization." Over the past few months, Honda and its fans followed the progress of six build teams that customized the all-new 2015 Fit through an ambitious project vehicle program and interactive Tumblr experience dubbed the 2015 Fit Performance Project (#ProjectFit). The six build teams, Tjin Edition, voted Fan Favorite; Bisimoto Engineering; Kontrabrands; MAD Industries; Spoon Sports USA; and the award-winning Kenny Vinces, each personalized the Fit virtually in public, something rarely seen in a very competitive industry. Photos, video and animated GIFs of the transformations in progress were posted throughout the campaign at hondaloves.tumblr.com where fans ultimately voted for their favorite build. Three additional personalized 2015 Honda Fit vehicles are on display in the automaker's booth including a Fit B-spec race car prepped for competition by Honda Performance Development (HPD), Honda's North American racing company; a Fit loaded with available dealer-installed Honda Genuine Accessories; and an additional Fit personalized by prominent tuner, Bisimoto, on behalf of Norm Reeves Honda in response to fan feedback prompted through the 2015 Fit Performance Project. HPD is back at the SEMA Show displaying its extensive line of racing engines which are available for purchase for sanctioned racers in North America. HPD has long supported grassroots through pinnacle racing, and the display highlights the broad spectrum of available engines ranging from go-cart motors to IndyCar and ALMS engines. Please refer to the separate HPD SEMA Show press release for full details on the display or visit hpd.honda.com/racing-line/racing-line-store for consumer information. Bringing a "fun to ride" element to the Honda display, a range of Honda Powersports products help highlight Honda's broad range of enthusiast oriented products beyond automobiles. On display at the show: the Pioneer 500 side by side, the NC700X, CBR300R, and the wildly popular Grom. After viewing all of the impressive vehicle displays at the 2014 SEMA Show, attendees with media credentials are also invited to celebrate at the second annual "Honda Soiree" on Nov. 4 from 10 p.m. to 2 a.m. at the Tao Nightclub inside the Venetian hotel complex. Members of the media are invited to visit the Honda booth in the Central Hall at the SEMA Show on Nov. 4, where a limited number of media entry wristbands will be available. Honda offers a full line of reliable, fuel-efficient and fun-to-drive automobiles for American car buyers through approximately 1,000 independent U.S. Honda dealers. The Honda lineup includes the Accord, Crosstour, Civic, Fit, CR-Z and Insight along with the Pilot, and CR-V sport-utility vehicles and the Odyssey minivan. American Honda Motor Co., Inc., is the sole distributor of Honda motorcycles, scooters, ATVs and Side-by-Sides in the U.S. American Honda's Motorcycle Division conducts the sales, marketing and operational activities for these products through independent authorized Honda retail dealers. For more information on Honda products, go to powersports.honda.com. 5 Aftermarket project vehicles. All modification information listed was provided by the vehicle builders and has not been confirmed by American Honda Motor Co., Inc. The modifications to these vehicles may void the manufacturer's warranty, may not be legal for street driving in all 50 states and have not been specifically suggested, recommended or approved by American Honda Motor Co., Inc.
American Honda Motor Co., Inc. today reported total October 2014 Honda and Acura vehicle sales of 121,172 units, an increase of 5.8 percent versus October of last year. The Honda division set a new October record on sales of 105,745 vehicles, an increase of 5.5 percent for the month. The Acura division posted sales of 15,427 units to rise 7.9 percent in the same period. The new October sales record for the Honda brand was driven by the success of core models leading to an overall 5.5 percent gain versus October 2013. 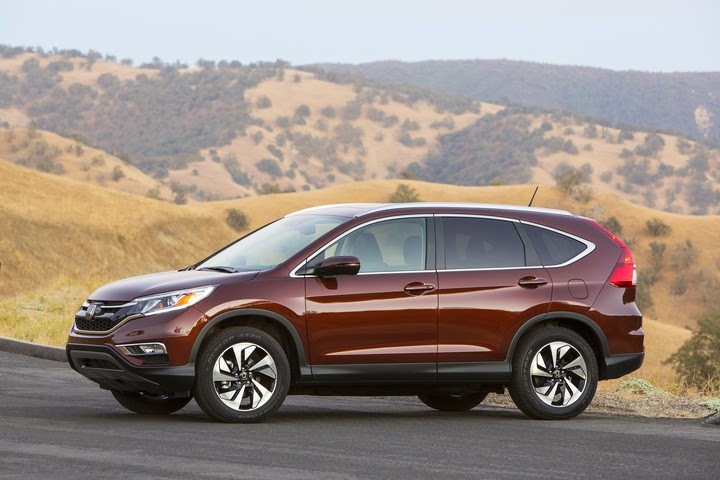 The new 2015 CR-V, crowned Motor Trend's 2015 SUV of the Year, helped the model post its best October on record. 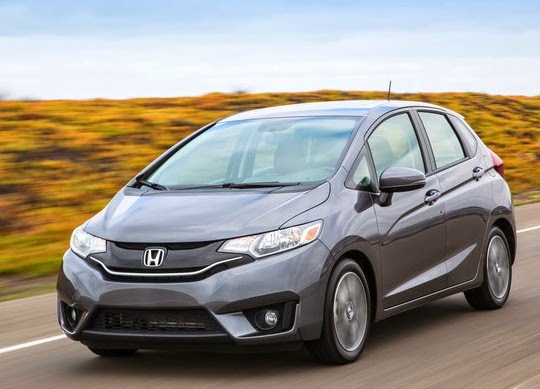 The new Honda Fit also set a new October milestone and Accord sales rose for the 10th straight month—all helping to push the Honda brand to a new October pinnacle. 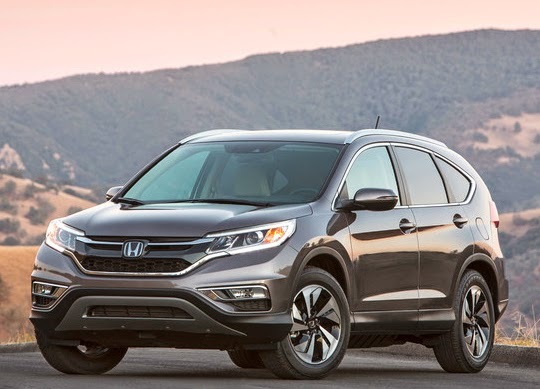 The redesigned 2015 Honda CR-V, which went on sale October 1, helped smash the previous October record, and was up 29.7 percent over 2013 on sales of 29,257 units. The new Honda Fit nearly doubled its sales last month, setting an all-time October record with sales of 6,851 units, an increase of 83.4 percent for the month. Honda's stalwart Accord posted a strong month, rising 7.8 percent in October with sales of 27,128 units to give the model its 10th straight monthly increase. 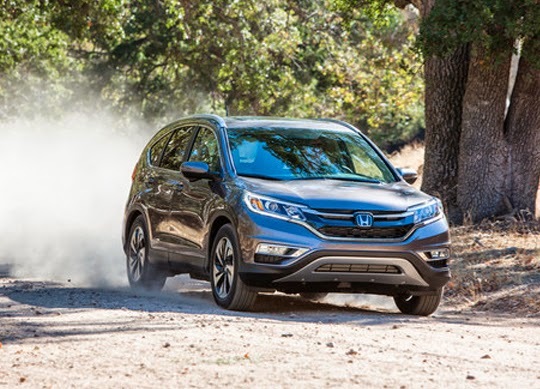 "The new 2015 CR-V is giving renewed momentum to what has already been an incredible year," said Jeff Conrad, Honda division senior vice president and general manager. 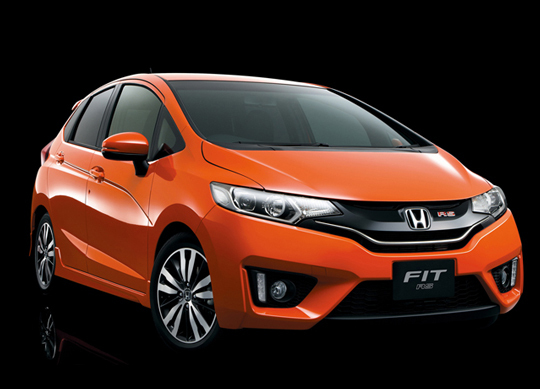 "The success of the new Fit is an important step in re-establishing small cars as a pillar in the Honda lineup." With the 3.5L SH-AWD model enjoying its first full month on the market, the new Acura TLX gained more than 25 percent versus last month's strong performance, reaching sales of nearly 5,000 units in October after less than three months on the market. TLX helped push Acura brand sales up 7.9 percent for the month. TLX sales reached 4,890 units in October, jumping 25.9 percent over last month for its best month since joining the Acura lineup, and came within just a few hundred units of ranking as Acura's best-selling model. With 5,324 units sold in October, Acura's current best seller—MDX—jumped 9.5 percent month-over-month despite being limited by tight supplies. "With TLX sales nearly topping 5,000 units in a segment full of notoriously tough competitors, the new TLX is quickly establishing itself as a top player in the mid-size luxury sedan game," said Mike Accavitti, Acura division senior vice president and general manager. "This early success of TLX also demonstrates the strong potential of the performance direction for the Acura product lineup." For the first time ever, ghouls, goblins, ghosts and other costumed creatures will be able to trick-or-treat on Twitter on Fri., Oct. 31 by tweeting @Honda a photo of themselves in costume with the hashtag #TreatPromo. Honda will reply to eligible people with a link to a coupon for a free box of MIKE AND IKE® candy as well as a link to a spooky Vine video. Five eerie Vine videos feature the redesigned CR-V opening up when trick-or-treaters come to Honda’s door, so to speak. Honda will use promoted tweets with video cards to announce the effort on Twitter. Both brands will also organically promote the effort on social media—Honda on Facebook and Twitter and MIKE AND IKE® on Facebook and Twitter. “In the spirit of Halloween, we wanted a simple and unique way to show some appreciation to our fans. Innovation is at the heart of our brand. 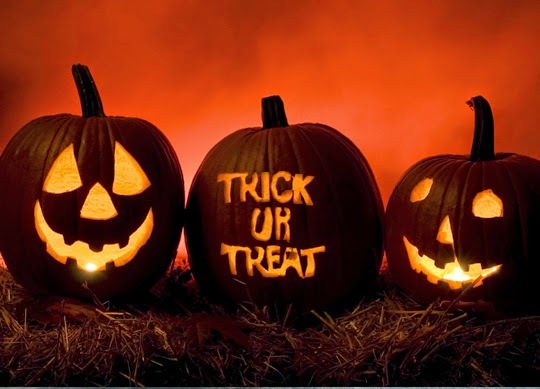 Why not look at innovating something as fun as trick or treating?” said Tom Peyton, AVP, Advertising and Marketing at Honda. Just Born Quality Confections is a privately owned company founded in 1923 and headquartered in Bethlehem, PA, where it manufactures PEEPS®, HOT TAMALES® and MIKE AND IKE® Brand Candies. GOLDENBERG’S® PEANUT CHEWS® Brand Candies are produced in Philadelphia, PA. All Just Born candies are made in the U.S.A.
For more information on MIKE AND IKE®, new flavors and upcoming programs, visit www.mikeandike.com. Also be sure to follow us on Twitter and Instagram and “like” us on Facebook. There are a lot of things worth looking forward to when it comes to the Detroit Auto Show, which takes place every winter in the motor capital of the U.S., but one our favorites here at Pacific Honda is the North American Car of the Year Award presentation, which almost always involves at least one nominee with a Honda badge on the front grille. The Honda CR-V has won Motor Trend Sport/Utility of the Year for 2015. The CR-V claims the title with a long list of vehicle enhancements for 2015, including its improved fuel economy and uncompromised driving dynamics, thanks to the inclusion of Honda's Earth Dreams Technology™ powertrain, the launch of an all-new Touring trim, the debut of Honda Sensing™ safety and driver assistive technologies and the CR-V's excellent value for money paradigm. 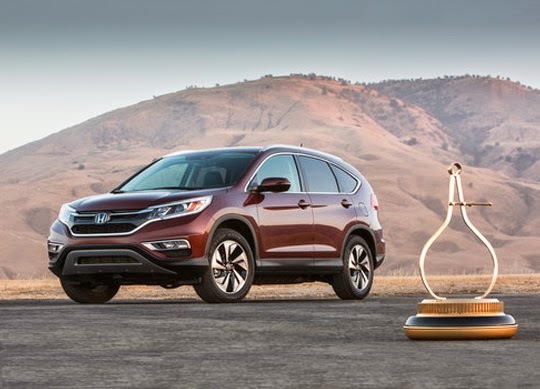 Motor Trend editor-in-chief Ed Loh, said, "The 2015 Honda CR-V impressed our judges with its extensive list of delightful design and thoughtful engineering improvements. Our editors were especially impressed by Honda's responsive and efficient continuously-variable transmission and sophisticated safety systems – particularly the smart and seamlessly integrated Lane Keeping Assist system. Efficient, practical, and a joy to drive; the 2015 Honda CR-V does virtually everything well." "It is an honor to receive such a prestigious award from the expert staff at Motor Trend," said Jeff Conrad, SVP & General Manager of Honda Division, American Honda Motor Co, Inc. "Our engineers, planners, and dealers work hard to deliver class leading products to our customers, and it's extremely rewarding to be recognized for that hard work. This award from Motor Trend reaffirms for us that we're meeting that goal." Motor Trend's Sport/Utility of the Year is not a comparison test, and is only open to all-new or substantially upgraded vehicles that have gone on sale in the 12 months from November 1 of the previous year. Priced from $23,320, the CR-V is offered with a new Honda Earth Dreams Technology™ 185-horsepower, 2.4-liter direct-injected four-cylinder engine and CVT (continuously variable transmission). The CR-V can be had in either front- or all-wheel drive, and it earns best-in-class fuel economy, with and EPA-estimated 27 mpg city/34 mpg highway/ 29mpg combined for front-wheel-drive models, and 26/33/28-mpg for all-wheel drive. The 2015 CR-V is expected to receive a Top Safety Pick+ (TSP+) award from the Insurance Institute for Highway Safety (IIHS), and its official safety ratings will be released later this year. The 2015 CR-V is manufactured exclusively for the North American market at Honda plants in the U.S., Canada and Mexico using domestic and globally sourced parts. CR-V, which sold more than 300,000 units last year, and is on track to do the same in 2014. CR-V's strong sales performance has been a consistent triumph for the Honda brand since the vehicle's introduction, leading CR-V to become the best-selling SUV in the industry over the past decade. For more information about the award, judging process, and the contenders check out the December issue of Motor Trend or visit www.motortrend.com. Today, Honda is launching a 60- and 30-second anthem TV commercial, "Music Festival," with music by Portugal. The Man, a Honda Stage band, to launch the new 2015 CR-V. The commercial speaks to Gen Y and focuses on adults who are establishing themselves and are about to or in the midst of entering their next life stage. While embracing this rite of passage, these singles, couples and young families are still dreamers and doers that continue to make time for a fun, active and fulfilling life. The CR-V advertising campaign will be supported across network primetime and sports, digital, online video, social and print. Honda has more models achieving an IIHS TOP SAFETY PICK+ rating than any other automotive nameplate. Motor Trend®, a media brand of TEN: The Enthusiast Network was founded in 1949 and is internationally recognized as one of the leading brands in the automotive category. The Motor Trend brand is comprised of Motor Trend magazine; the award-winning website MotorTrend.com; Motor Trend Auto Shows; Motor Trend Audio; Motor Trend en Espanol; Motor Trend India; and the renowned Motor Trend Car of the Year, SUV of the Year, Truck of the Year, and Best Driver's Car awards programs. TEN: The Enthusiast Network is the world's premier network of enthusiast brands, such as Motor Trend, Automobile, Hot Rod, Surfer, Transworld and GrindTV. With more than 50 publications, 60 websites, 50 events, 1000 branded products, the world's largest automotive VOD channel, and the world's largest action/adventure sports media platform, TEN inspires enthusiasts to pursue their passions. For more information, visit www.enthusiastnetwork.com.